Youth Programs in the Fells all starts with Forest Kindergarten, our flagship nature learning initiative for ages 4-5. 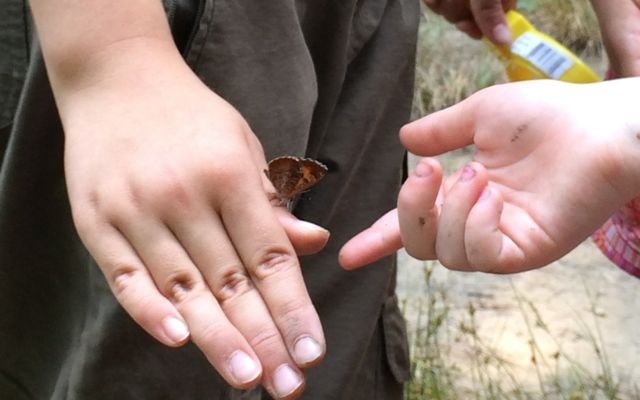 For older children, we also offer Forest Explorers (ages 5+-7) and Forest Adventurers (ages 8-10). Fundamentally, as our basic “Parent & Caretaker Information” page explains, our program is interest-led. Your child’s learning will be interest-led. The forest will be our inspiration, and we will encourage the kids to explore at their own pace, and according to their own interests. At younger ages, we aim primarily to stimulate children’s curiosity about the natural world, and to develop critical thinking skills through self-guided exploration and problem solving. So, as with any other Forest Kindergarten setting, we allow children time to play in the dirt, climb trees, and interact with each other — including sometimes lingering at “home base” just outside the Botume House. Although it might appear otherwise, this is not doing nothing. There is a lot to do and see in that area, such as examining the butterfly activity at the pollinator gardens, spending time under the trees (which they child use to construct “fairy houses”) and a generous grassy area for running around. A small beach for Spot Pond is just down the hill. In general terms our program can be described as structured unstructured play. Our grandparents might recall a time when children might play outside with friends without any supervision at all. 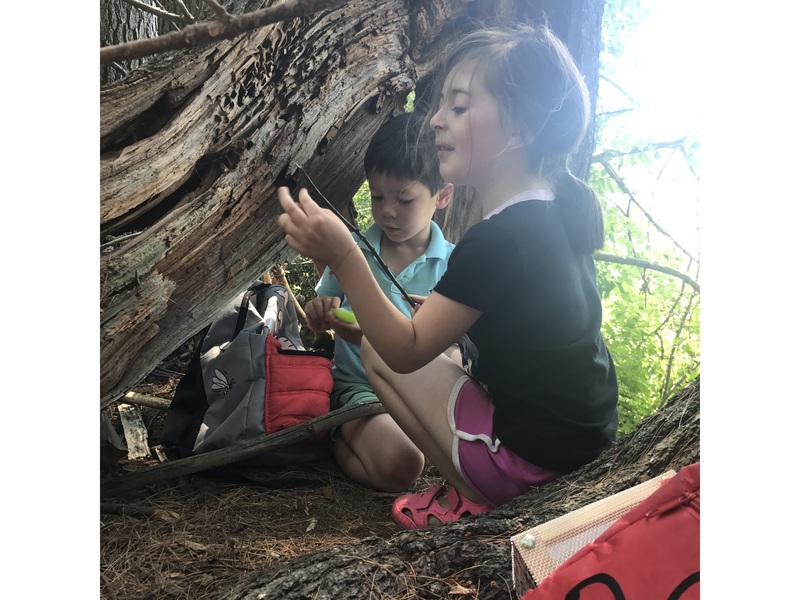 Our program attempts to recreate this form of healthy, social play in nature — with well-chosen, environmentally sensitive instructors as their guides.